In the spirit of Thanksgiving this year, we want to give our Mid County Lanes family some suggestions for giving back to our neighbors in need. Giving back comes in so many different ways and we wanted to make sure you have lots of options in Middletown this year. Giving back doesn’t necessarily mean emptying your wallet or cleaning out your cupboard. 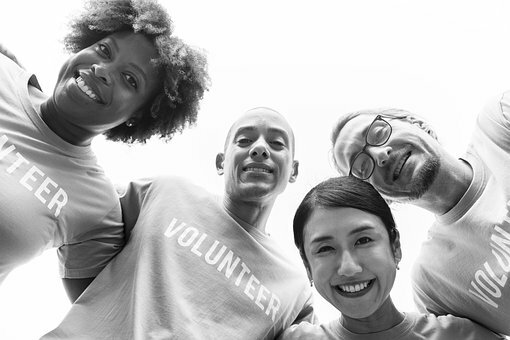 Volunteering your time is one of the best ways to give back. Not only do you know exactly where your donation goes, you’ll be able to see the difference you’re making. There are some great volunteer opportunities throughout the New Castle, DE, area that are available all year long. If you’re interested, check out more here! Giving money or food to a reputable food bank is another great way to help you neighbor this November. This month is all about giving and while we appreciate all that we are grateful for, it’s important to also realize there are many in our community who don’t have those luxuries. Giving food or monetary donations can make a huge difference, but make sure to give to a local charity so you know where your donation is going and who it’s helping. Our Daily Bread is a great charity located right here in Middletown and helps support children and adults in our own community. After you’ve given back, make sure you take a little time to pat yourself on the back. Bring the whole family over to Mid County Lanes for a few games of bowling, food and fun!